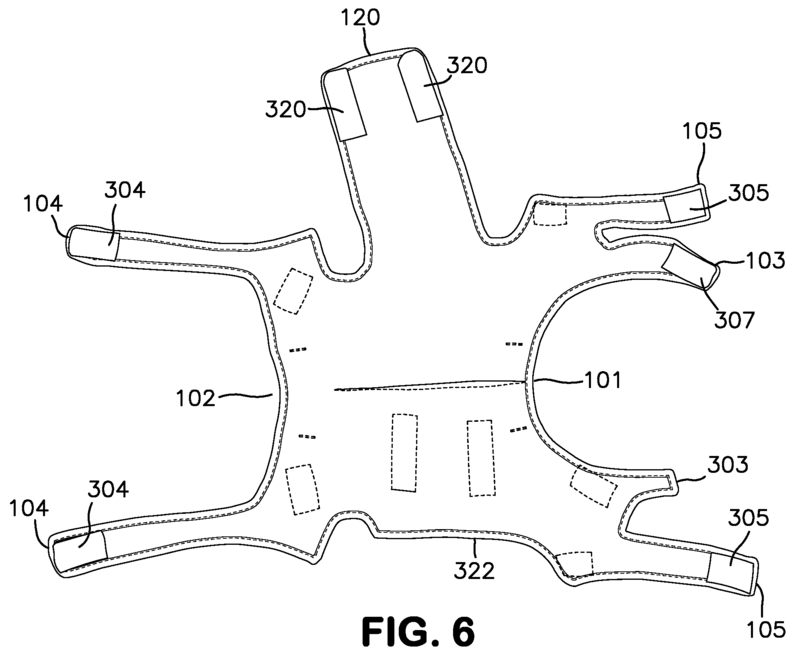 Protective covering keeps surgery site clean and dry! Prevents dog from licking, chewing, or scratching surgery site. Prevents high-risk behaviors like running, jumping, and climbing. 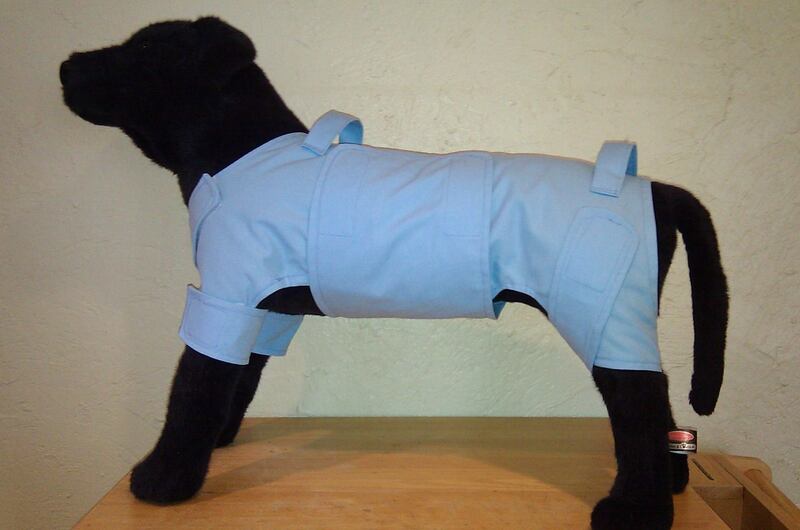 A removable garment for animals to cover and protect an abdominal surgical or wound site. 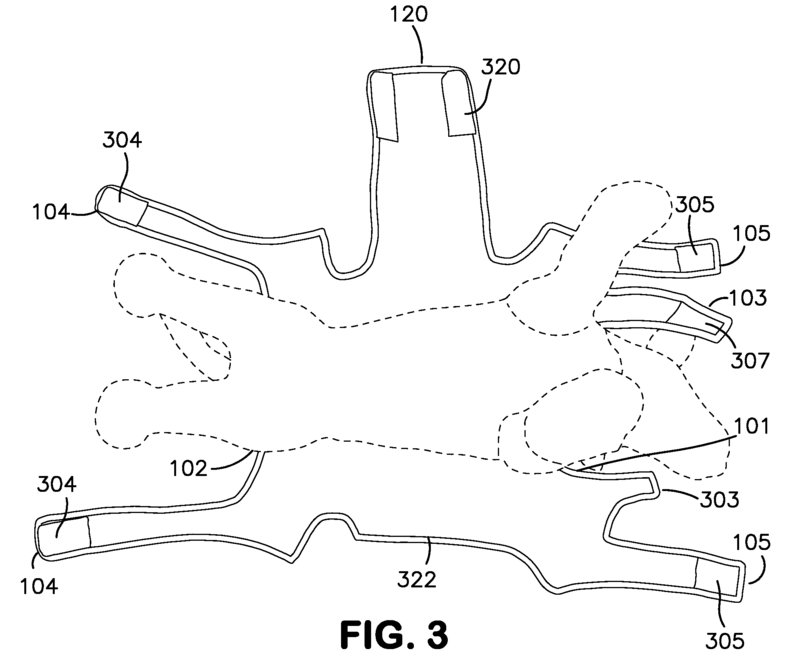 Generally, the removable garment is comprised of a body wrap with front leg, rear leg, and neck closures, and an abdominal panel, extending distal the body wrap. 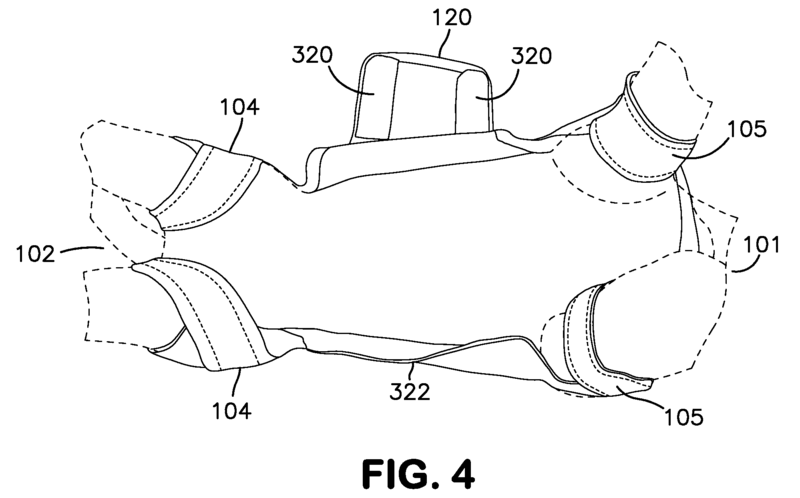 Each leg and neck closure, as well as the abdominal panel, contains an attachment designed to removeably secure the closure, and ultimately the garment itself, to an animal. • The five adjustable closures allow for a custom fit without having to remove the garment once it’s been applied. • The access panel provides surgery site coverage AND easy access for periodic examination and cleaning without having to remove the garment. • The integrated “Lift Assist” handles allow human caregivers to aid a dog with activities like standing, walking and elimination, as well as moving up and down stairs one-step-at-a-time, without placing unnecessary stress on the delicate surgery site. This is often needed due to leg weakness after abdominal surgeries. The patented design channels most lifting force through the shoulders and hips rather than across the abdomen, unlike most other lifting aids on the market. • The design and construction eliminate the need for the “cone” - as well as other cumbersome and uncomfortable bite-restrictive devices - in most dogs. 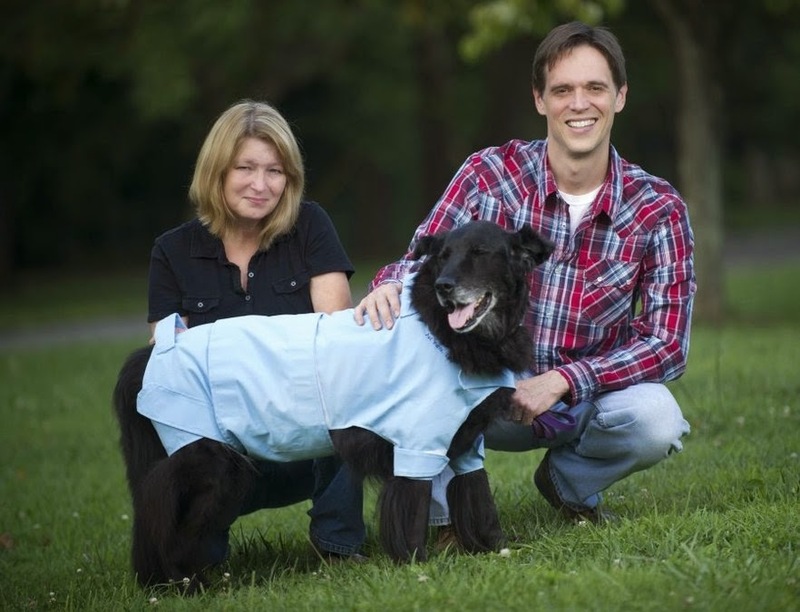 The surgical after-care garment is a desperately needed item for dogs post-operatively and beyond. In my work, I see dogs daily recovering from surgery that present a special set of problems: they lick their incisions, and they have seeping or draining wounds that are challenging to keep clean and dry. They have discomfort and pain which makes it hard for them to move, and are challenging for caretakers to lift or assist without feeling that they are hurting the dog. Often times these dogs are older or debilitated and have weakness and/or arthritis which further limits their ability to rise or move without assistance. For younger or more energetic dogs, typical movement (jumping/climbing stairs/running) is hard for owners to curtail, and this can lead to fluid pocket formation and poor surgical site healing or possible failure. The after-care garment addresses all of these issues in one comfortable, streamlined and novel item. 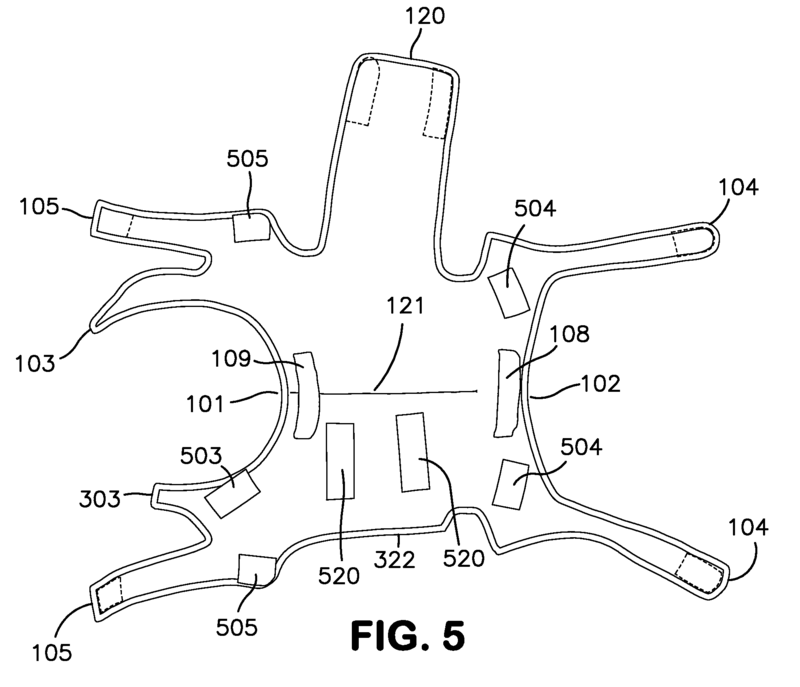 It allows physical protection of the abdominal surgery site. The flap system provides a quick, safe, and easy way to keep wound or incision sites clean and dry without multiple garment changes that will stress the dog or owner. There are lift handles on the front and back that provide a protected, gentle way to provide assistance with moving and getting up without putting pressure on the abdomen or a caretaker’s back. 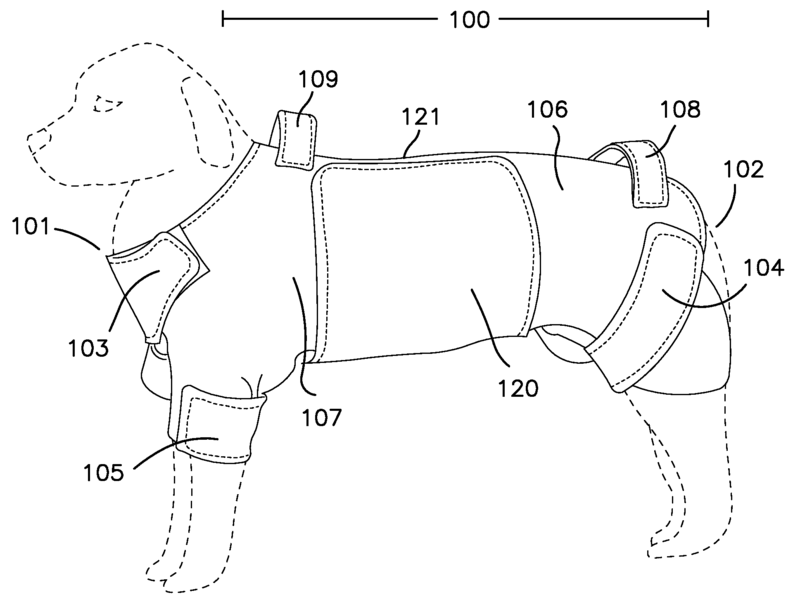 The garment gently and safely restricts the ability to stretch, over-exercise, or damage incision sites without having to perpetually monitor or kennel the dog. The garment is easy to apply and remove, and is well tolerated by dogs and easy for owners to use and understand. 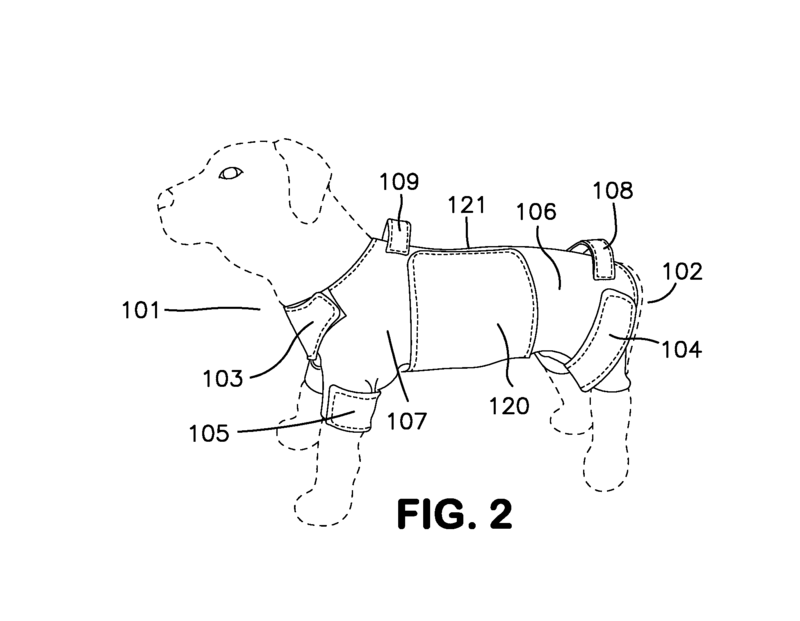 Beyond surgery, the garment has multiple applications, such as skin lesion healing or for dogs that need topical medication, or dogs that have low back/hip arthritis or limb weakness and need assistance getting up or down. In addition, many dogs find gentle compression of the type provided by the garment to be calming and anxiety reducing. I think the surgical after-care garment provides many innovative solutions for major problems that dogs and their caretakers face. I believe it will minimize the biggest issues that arise following canine surgery, allowing owners to worry less and better assist and support their animal companion’s healing. I wholeheartedly support the garment and think it will speed the healing and increase the comfort of many.